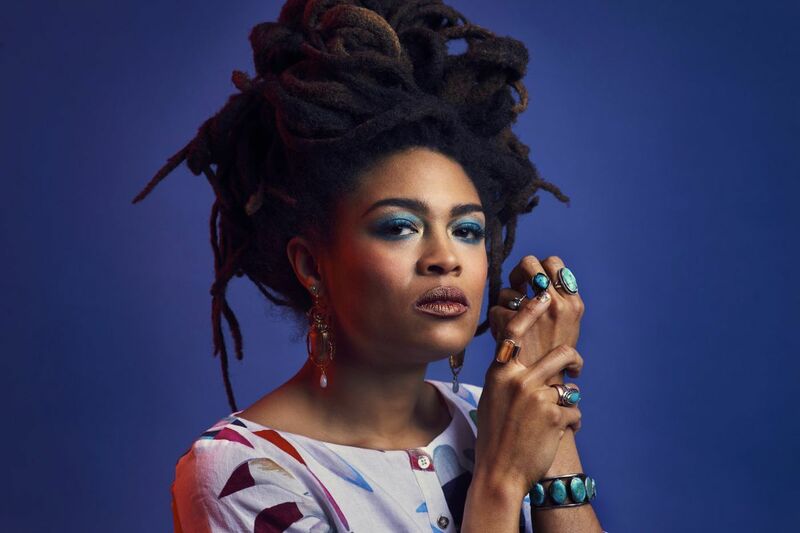 Valerie June will be a headlining act at this summer's 57th annual Philadelphia Folk Festival. The Philadelphia Folk Festival has announced its initial lineup, and this year the venerable institution — now in its 57th year — is aiming for diversity and gender balance, with a trio of female headliners. The top line names at the fest, to be held from Aug. 16 to 19, as ever, at the Old Pool Farm in Upper Salford Township, are powerhouse country vocalist Wynonna Judd, who is billed along with her band as Wynonna & the Big Noise; ace country and folk songwriter Patty Griffin; and roots music synthesist Valerie June. This year, the Folk Fest is aiming to "to move decidedly towards balance and equity and curate with a focus on more women artists, and more world music and international performers," festival director and programmer Lisa Schwartz said in a statement. Other acts that underscore that emphasis include the great folk-country songwriter Mary Gauthier, Minnesota banjo player and soul singer Chastity Brown, blues woman Alexis B. Suter, Native American blues and soul woman Martha Redbone, Montreal based Senegalese percussionist Elage Diouf, and throat-singing ensemble Alash, from Tuva in southern Siberia. The Thursday night "Camper's Only" show hosted by David Dye this year features Latina folksinger Gina Chavez, Scottish trio Talisk and Chicago blues man Toronzo Cannon. Aren't there any white guys playing? Don't worry, there are white guys playing. Along with Charleston, S.C. wife-and-husband duo Shovels & Rope, the second-level headliners listed include Wilmington bandleader and Folk Fest vet David Bromberg (playing with his quintet) and New Orleans-born bluesman Chris Smither. Cowboy vocal group Riders In The Sky, bluegrass ensemble Seldom Scene and other frequent visitors also will be on hand, such as John Gorka, Christine Lavin, Eileen Ivers, Tom Paxton and of course, retired folk deejay and long time Folk Fest emcee Gene Shay. More info is available and tickets are on sale at pfs.org.